What to do with all this space between rail or tram tracks, along roads and motorways? 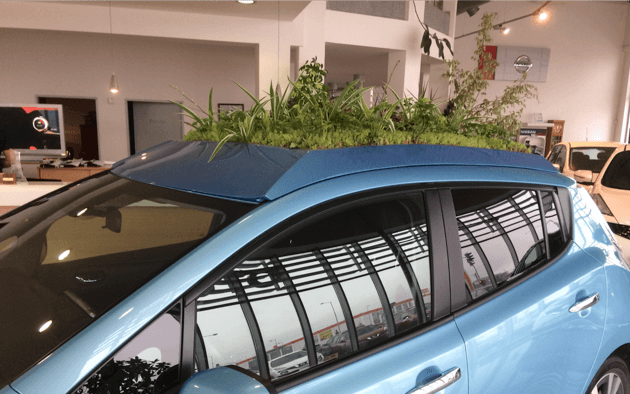 Green Designs on the Move™ – an innovative conceptual vegetated design scheme which can be implemented on vehicles or which can turn the usual ”grey” surfaces of highways and railways tracks to green surfaces. 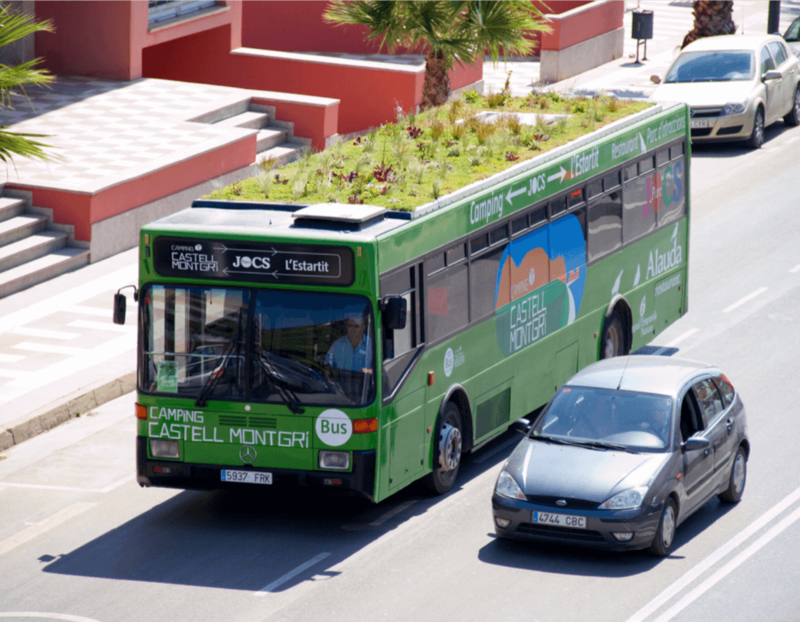 Urbanscape® Green Design on the Move™ concept makes the moving infrastructure a little bit greener by introducing vegetation into the equation. 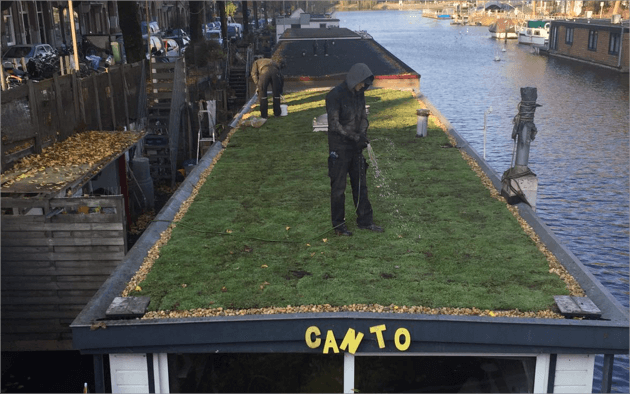 Furthermore, we have a good record of greening houseboats, where our green roofs have been proven to improve comfort for full-time boat residents. A green roof mounted on a boat shields the boat from direct heat radiation and from heat emitted by the sun. All this leads to lower temperatures for such residents. A similar concept is also being implemented on campers and caravans. 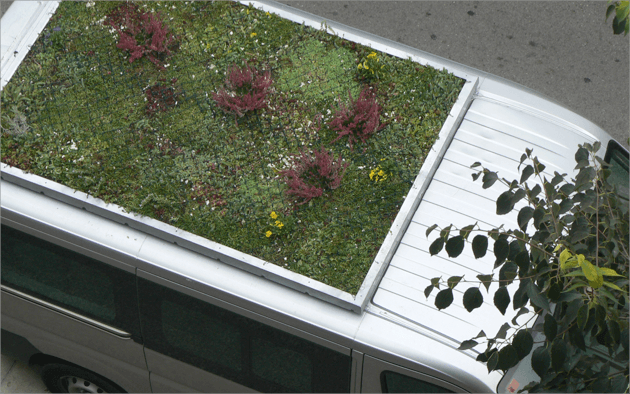 These vehicles may be on the move, but the major effect of a green roof actually comes into play once they are stationary and used as a living space. If you would like to learn more on how to vegetate your vehicle, simply contact us via our e-mail and our designers will get back to you as soon as possible. It’s so easy to green rail and tramway tracks. As part of the Urbanscape® Green Solution we provide designs that are customized to specific projects and specific climate zones. Whether it’s a rail- or tram track or in the longer run a large highway project, we have designs that will help reduce labour costs at the installation stage and reduce maintenance costs throughout the entire lifetime of the project. 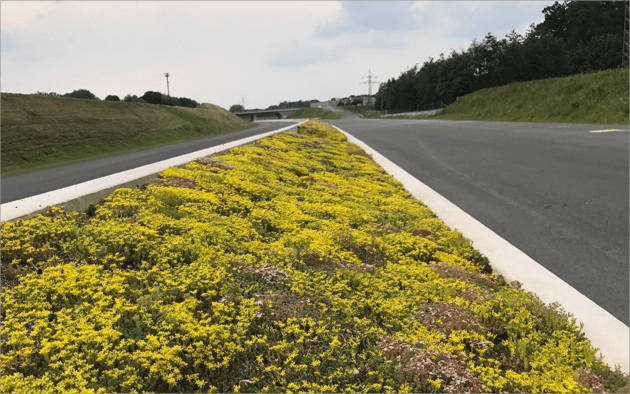 By using the innovative Urbanscape® Needled Mineral Wool Growing media and taking advantage of the low maintenance required by specially selected Sedum species you won’t see any more highways backed up due to regular lawn mowing. Urbanscape® Green Rolls deliver fast and long-term stable water re-absorption and water retention performance. 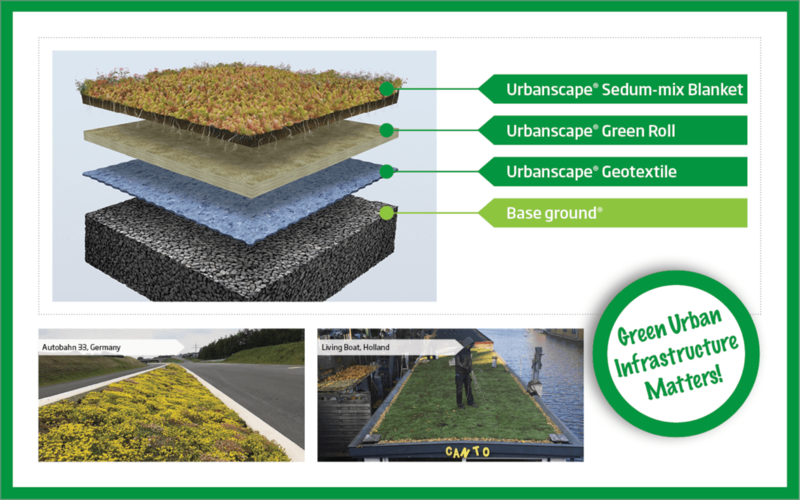 A mere 1m2 of Urbanscape® Green Roll just 2 cm thick absorbs a whole 17 litres of rainwater. Depending on the local climate and the weather / season, water savings of up to 75 % can be achieved. Customised designs for specific projects and specific climate zones. Download some of our conceptual CAD designs. It’s so easy to green highways, rail- and tramway tracks. A set of several Urbanscape Green Designs on the MoveTM detail drawings (CAD designs) was made to assist architects and other designers with their work.